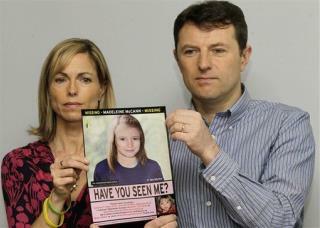 (Newser) – More than six years after Madeleine McCann vanished from a resort in Portugal, police may have made a breakthrough in the search for the British child. British police officers analyzing data gathered after her disappearance in 2007 have released computer-generated images of a man they suspect could be key to unlocking the case, the BBC reports. Witnesses place the man—described as a white man of medium build, somewhere between 20 and 40 years old with short brown hair—at the scene of the disappearance but he has never come forward to speak with investigators. Those pictures look like her dad. How long have they been working this case now? The description they give is so broad. And the two photos shown don't even look alike. Every man in Portugal between 20 and 40, brown hair and medium build is now a prime suspect it appears.